Beth Vogt Loves The Big Apple! Romance knows no geographical boundaries – we can all agree on that. But if I had to pull out a map and select one U.S. city that says “romance” to me, well, I love New York. And if you’re looking for a place for romantic moments to happen, look no further than New York City. As I wrote the ending of my destination-wedding novella, Can’t Buy Me Love, the possibilities of where to stage the proposal made me giddy – and I was thinking about imaginary people falling in love! And because my hero and heroine experienced a break-up on their way to discovering the true cost of an ultimate Manhattan wedding, I was able to plan not one, but two proposals in New York! Should I stage the magical moment in Central Park? And if so, where in Central Park? Belvedere Castle – yes, there’s a castle in Central Park. Near Gapstow Bridge? Or go for something whimsical and plan a ride on the carousel with its fifty-seven horses? I could arrange my novella’s time line so that a proposal could happen in the midst of the annual madness of New York’s Time Square on New Year’s Eve. Coordinate the “Will you marry me?” with the countdown and as the lighted ball drops, my hero kisses my heroine and then goes down on one knee … A memorable moment, yes – but not a “just you and me” one. Flowers are always romantic, which makes the New York Botanic Garden an endless source of locations for lovers to stroll through – gardens of orchids, roses, lilacs, magnolias – as they hold hands, talk, kiss, create memories – and who knows? Maybe one day return for a proposal. The possibilities for “Will you marry me?” moments are endless: Atop the Empire State Building (think An Affair to Remember) or skating in Rockefeller Plaza beneath the glow of the annual Christmas tree – if you’re brave enough to risk a proposal on ice skates. At a favorite restaurant or during the intermission of a Broadway show. Be those crazy people who stand outside the taping of the Today show with a sign that says, “She said yes!” and end up catching Al Roker’s attention. Falling in love is all about embracing the future together – the what-may-come moments. I love New York because it offers so many chances for making one of a kind romantic memories. 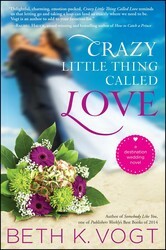 So where did I set proposal #2 for Bellamy and Reid, the bride and groom in Can’t Buy Me Love? You’ll just have to read it and find out! 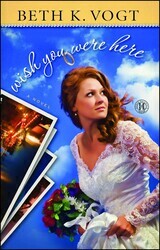 Kissing the wrong guy days before her scheduled wedding leads Allison to become a runaway bride. But can it also lead to happily ever after? To find her way again, she will have to believe that God has a plan for her—one outside her carefully defined comfort zone—and find the strength to let Him lead. 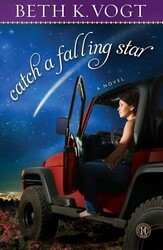 Haley’s three-year marriage to Sam, an army medic, ends tragically when he’s killed in Afghanistan. Her attempts to create a new life for herself are ambushed when she arrives home one evening—and finds her husband waiting for her. Did the military make an unimaginable mistake when they told her Sam was killed? 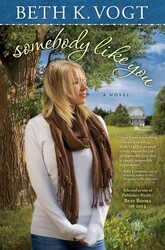 Somebody Like You is a beautifully rendered, affecting novel, reminding us that while we can’t change the past, we have the choice to change the future and start anew. Dr. Kendall Haynes’s plans to have it all—a career, a husband, a family—are eluding her. Now that she’s thirty-six, she needs to stop wishing upon a star and face reality: Some dreams just never come true. When their lives collide during a near tragedy, Kendall and Griffin must decide if they can embrace the unexpected changes God has waiting for them. 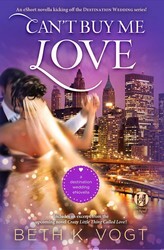 In this e-novella kicking off the brand-new Destination Wedding series, Bellamy, a bride-to-be who dreams of a one-of-a-kind Manhattan wedding, gets caught up in all the planning, and things quickly spin out of control. What is the true cost of an ultimate uptown wedding? I love this post! NY makes the best location for romances, movies, and TV shows. Love it.